Brennan Landscaping is a full service landscaping company based in Wauwatosa WI, serving both commercial and residential landscape customers. Our goal is to establish lifelong customer relationships while serving all their outdoor landscaping needs. Brennan Landscaping’s experienced landscaping contractors specialize in landscape design, construction and maintenance. Our team of Milwaukee area landscapers integrates creative landscape designs using quality materials capable of withstanding Wisconsin’s climate. We work with great attention to detail and an emphasis on customer service throughout the entire process. Brennan Landscaping’s award-winning landscape architects ensure you’ll receive a completely custom, awe-inspiring landscape design unique to your property. It all starts with listening to what it is you want to accomplish and understanding how the project will enhance your lifestyle. Then, using our landscape architecture expertise, we create a beautiful, one-of-a-kind outdoor setting. No matter the size, your home is your castle. Our Milwaukee landscape designers have created beautiful landscapes for all types of homes and for clients with a wide spectrum of needs and budgets. Whether your enjoyment comes from entertaining, relaxing, gardening, playing ball with the kids, or dining al fresco, our landscapers deliver the ideal environment for the things you love doing most. Brennan Landscaping knows the importance of keeping a project on budget and on schedule. Our Milwaukee landscapers work efficiently to get your project completed on time and with the highest quality craftsmanship. From complete landscape designs to individual elements such as patios and decorative brickwork, we are committed to creating the landscaping you envision at a price you can afford. Don’t settle for a landscaping business with no imagination and no passion for their work. Your ideal landscape requires a committed partnership with a landscaping company that cares. From regular lawn and tree care to expanding a patio or adding a retaining wall, Brennan Landscaping will be here for all your outdoor and landscaping needs. 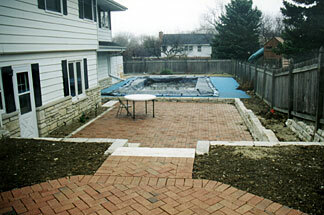 Brennan Landscaping designs and builds patios of all sizes. 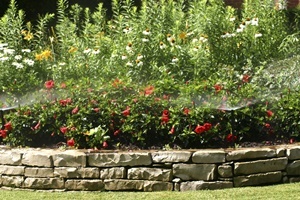 Because we’re a landscaping business, we can also recommend plants that will work in our climate zone and design the landscaping around the patio, install an irrigation system to simplify the watering of any new plants, and build any outdoor structure you might want along with the patio (such as a pergola, a decorative masonry wall, a retaining wall, or a fire pit). While patios are not known for a huge return on investment when you sell a property, they make a huge difference in the enjoyment of your home. If you are planning to stay in your home for at least the next few years and like grilling out or laying out during the warm months, a patio will be well worth the investment. And when it does come time to sell, statistics show a patio can return as much as 60% of your cost. 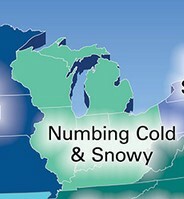 When the landscaping season ends, we offer residential and commercial snow removal services throughout the greater Milwaukee area. From clearing driveways and sidewalks at homes to clearing parking lots at shopping malls and around office buildings, we do it all. We pride ourselves on being there when you need us and doing a great job—at a fair price. Contact us today at 414-645-5477 for a free, no-obligation quote, or request a quote online using the link below. Do it soon, though. 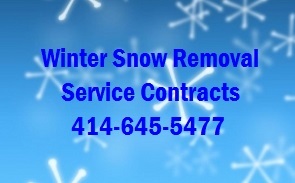 There are a limited number of snow removal service contracts available. Contact the Milwaukee landscaping contractors at Brennan Landscaping for professional landscape design services throughout Southeastern Wisconsin.